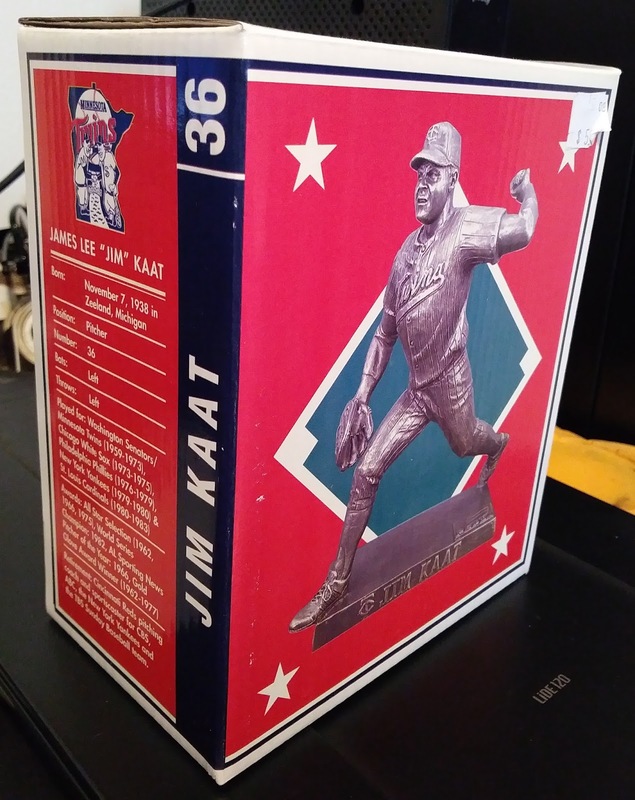 On a recent trip up to Minnesota and to my favorite card shop, 3 Stars Sportscards, I came upon this statue of Jim Kaat in the racks of miscellaneous baseball stuff. 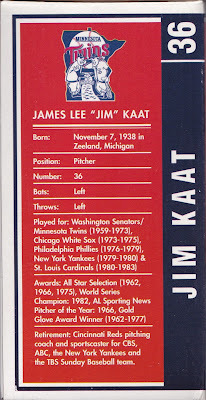 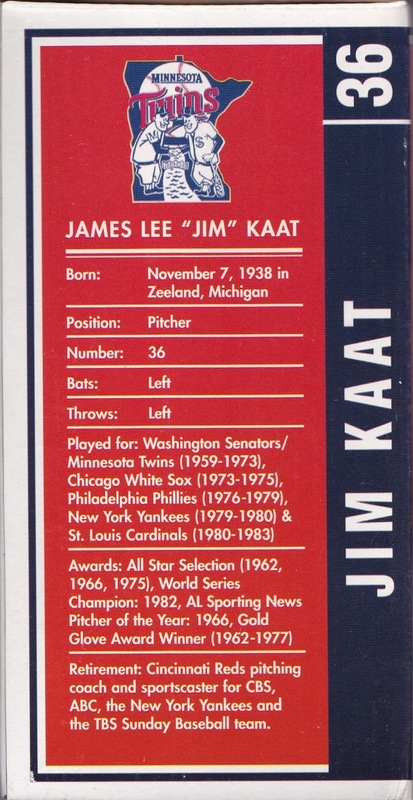 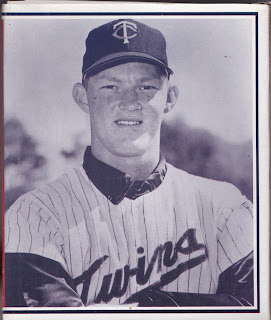 Kaat played for 15 seasons with the Twins (and the Senators for two seasons before moving to Minnesota) from 1959 through 1973 and he is the statistical leader for pitchers who played as a Twin, winning 190 games. 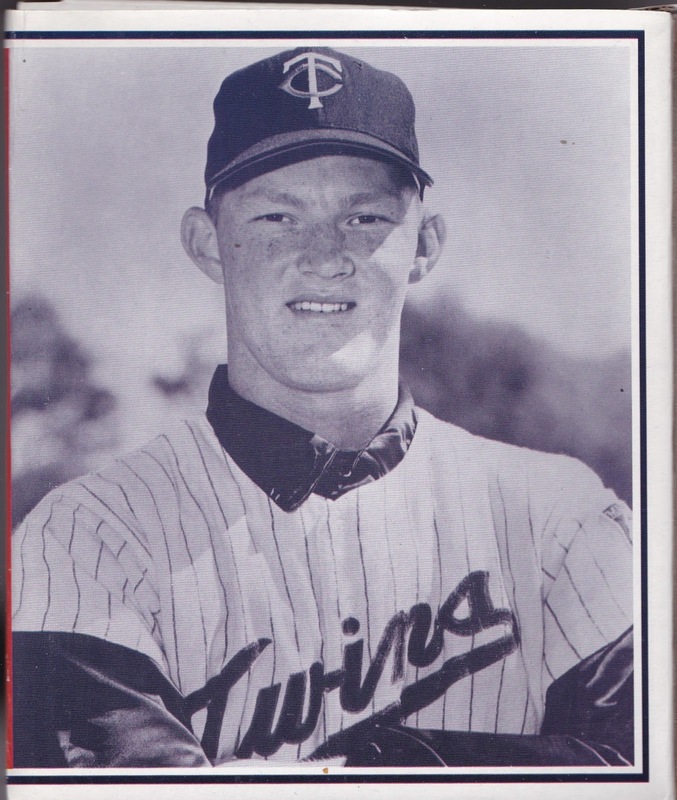 He can't keep up with Walter Johnson's pitching records if you include the Senators history with the Twins...which just doesn't feel right to me when discussing the best Twins pitchers. 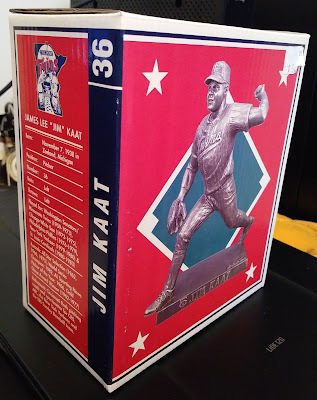 Here's a closer look at the box, which features a black-and-white photo from one of Kaat's early seasons with the Twins. 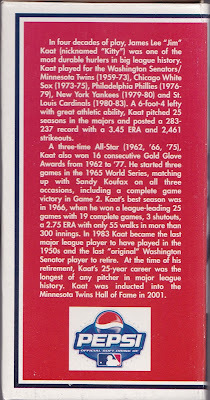 The other two sides feature career stats and a nice write up on Kaat's career. 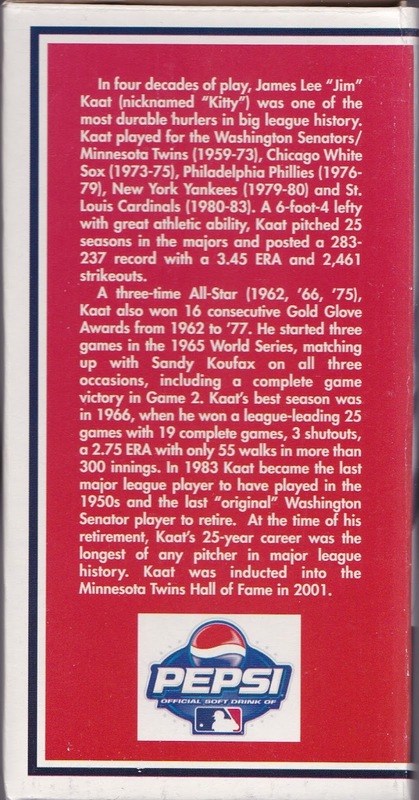 Kaat is probably most famous for winning 16 Glove Glove awards at pitcher which was the record until Greg Maddux topped it with 18 career awards. And here is a closer look at the statue. 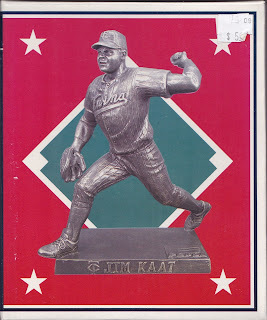 Kaat's statue was a giveaway at a Twins game on September 12th which was against the Oakland A's. 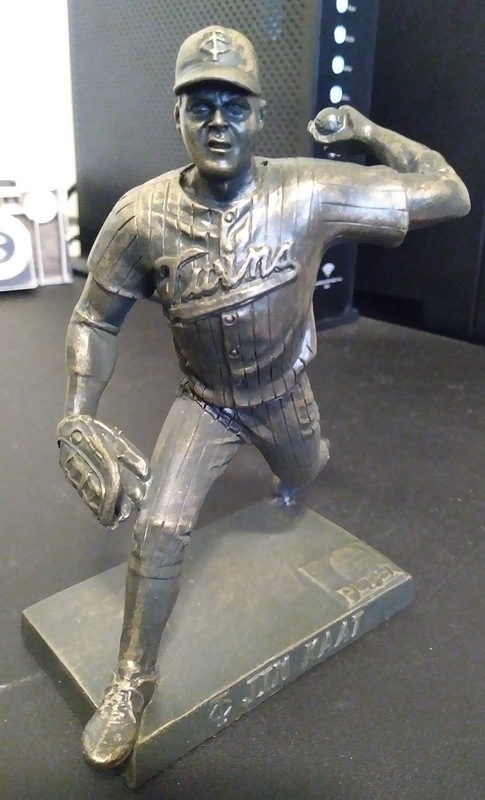 In total there were 11 statues given out from 2005-2009 and here is a look at all of them. 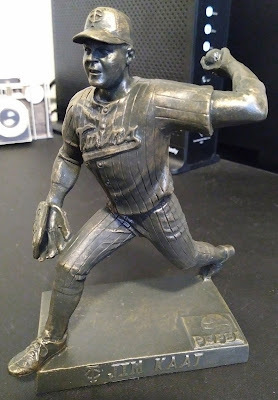 Five dollars brought this one back to central Illinois with me!